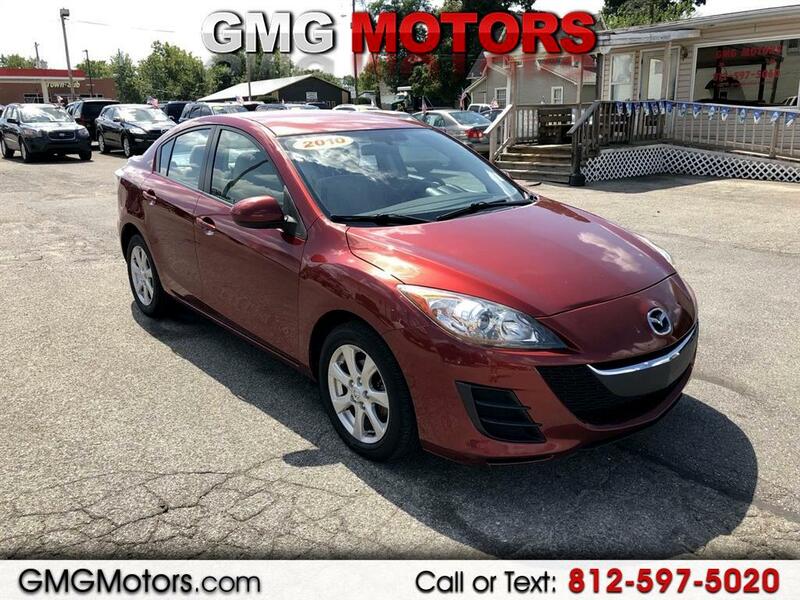 2010 Mazda3 Touring, Low Miles 82K! Nice two tone black and tan interior, Well equipped with Bluetooth stereo, power windows and locks. Great on gas! Thanks for checking out GMG Motors. Call or text us at (812) 597-5020 to get approved and drive away today! Buy here pay here. We finance your future not your past. Call for more information at (812) 597-5020.We look forward to doing business with you! A few items we will need when you come in: Valid License Proof of residency Pay stubs Must be able to provide full coverage insurance Down Payment in CASH/CARD ONLY!! Call for more information at 812-597-5020. We look forward to doing business with you!